Choosing the perfect mattress for your bundle of joy can be a tricky process. 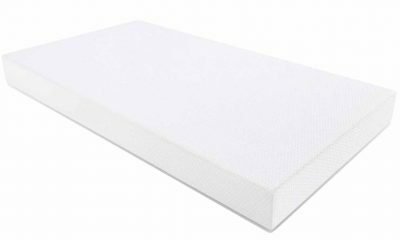 That’s why you should check out our expert Sealy Cotton Cozy crib mattress review to find out just why we think it’s such a great product. Our team of mattress aficionados will take you through all the key practical features of the mattress and give you an in-depth explanation of those vital safety features that all parents are looking for. 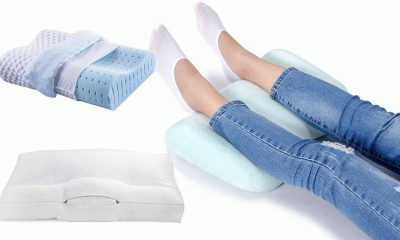 We will also guide you through the possible pitfalls of this particular model, so that you can make an informed decision about whether this is the very best bed for your precious baby. This product is filled only with natural, non-toxic things like cotton, polyester, etc. Sealy has been around for a long time, having begun as a very small operation. 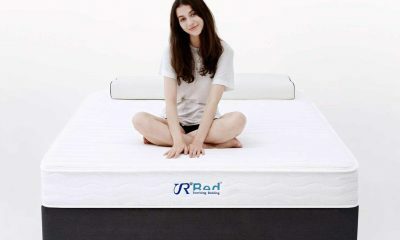 Over the years, though, they have led the way in innovating, changing and upgrading mattress manufacturing technology. 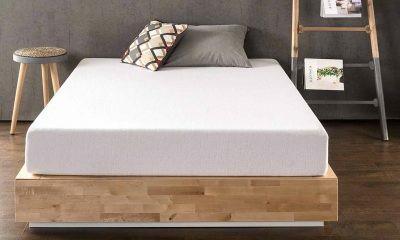 In fact, the company is a major powerhouse and a leader in the industry today—you can be assured, therefore that when you purchase this mattress, you are getting more than a mattress—you’re getting years of experience, of pleasing parents/guardians, and of setting the standards in the industry. What Is This Mattress Made Of? The Sealy cotton Cozy Rest 2 stage crib mattress is made using a 204 premium-quality stainless steel coiled system. 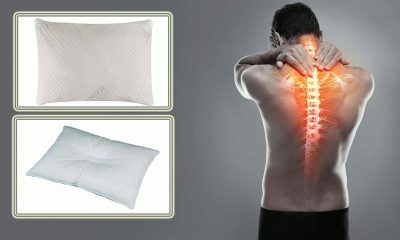 Therefore, this provides for optimum support, comfort and firmness. 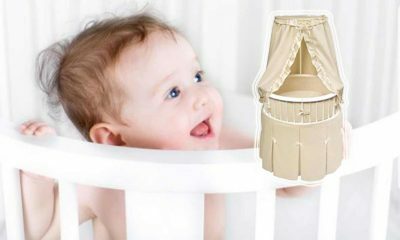 This 2 sided crib mattress also has other unique construction features, including a EverEdge strengthening pillars that provide protection for babies/infants (and perhaps even toddlers) from mishaps and difficulties encountered near the corners or edges of this mattress. There is also the anti-sagging weight distributing system included, among other reasons, to provide a firmer infant side. Additionally, a special protecting cotton wrap is placed around the whole mattress. Fortunately, there are many potentially harmful things which are not in this mattress. These are commonly found in mattresses from many of Sealy’s cheaper competitors including: lead, mercury, formaldehyde, PVCs, PBDES, TDCPP, and TCEP flame-retardancy substances. All of these could potentially be harmful for your baby’s health, so it’s great that Sealy don’t include them. As a general rule, most manufacturers do a good job of packaging their mattresses. This helps to prevent the mattress becoming damaged during transit… What’s good about Sealy Cozy Rest, though, is that they go an extra step or two to provide proper, safe packaging; they also make it easy to access the product, set it up and put it to good use ASAP. They also provide free shipping! 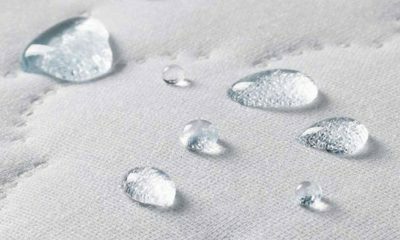 a water-proof, stain repellent or resistant cover made out of cotton and able to protect the mattress from microbial growths/contamination and potentially stain-creating spills and accidents. 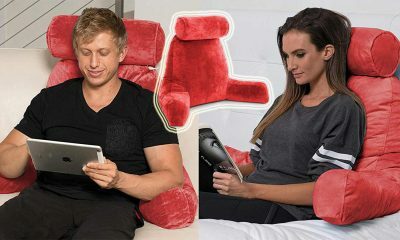 In addition to all this, the air-flowing pockets help to reduce mishaps and injuries due to overheating products; there is also the fact that the tightly sealed lock-stitching binding helps to prevent the outgrowth of and keep out bugs, allergens, molds and odor creating/emitting microbes. 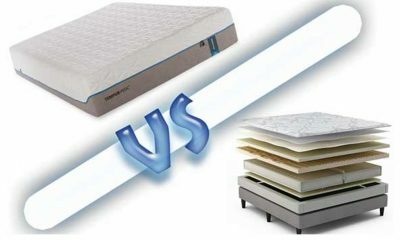 Because the Sealy dual sided crib mattress is only about 15 pounds, it’s easy to carry around, turn over and manoeuvre. 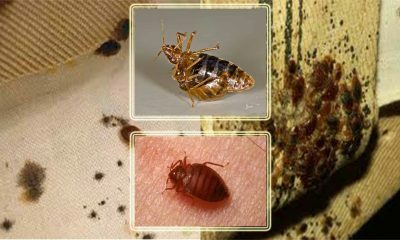 This makes it simple to change sheets or clean up after a spill or accident. Some people (the elderly, those with a bad back, etc.) might find the weight less than perfect but, for most people, the weight shouldn’t be a negative issue. The water-proof capacity of the Sealy 204 coil crib mattress makes keeping it clean a breeze. Of course, you will still have to clean up after spills and accidents but at least you won’t have to worry about long-term stains or permanent damage. However, as with any crib mattress, you should deal with spills or stains as quickly as possible for the best results. The Sealy 2 stage crib mattress is officially water-resistant, so it should be able to withstand most of the common spillages that are part and parcel of having babies and small children. The dimensions on this mattress are 27.25 inches by 51.63 inches by 5.5 inches and it weighs about 14.9 pounds. 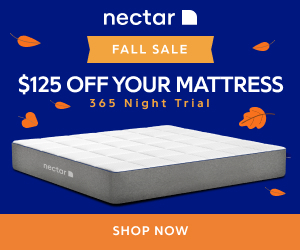 What Makes This Mattress The Best? dual-sided for your convenience and as a means by which for you to save some money. What Sets This Mattress Apart? 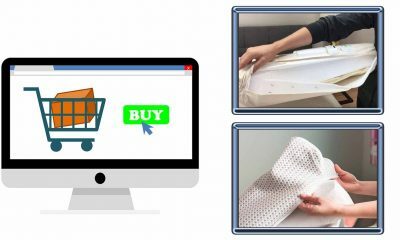 Beyond all those qualities already mentioned, some of the other things that put this dual sided baby mattress on another higher realm of quality, satisfaction and popularity are the air vents that help to keep this mattress cool. This works primarily by effectively mitigating heat build-up. Also, it is bug, mite and bacteria/mold resistant. Furthermore, it does not contain many of the nasty, toxic chemicals cheaper, lower-quality alternatives often use. 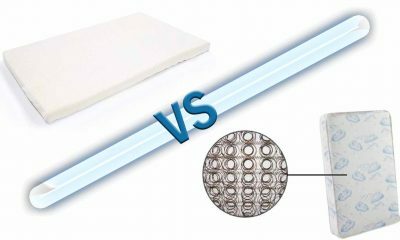 The 204 innersprings coils in this infant to toddler crib mattress provide a special type of durability that metal is naturally known for. This durability is further enhanced by a six-gauge heavy duty going-all-around stainless steel border that make for secure edges. 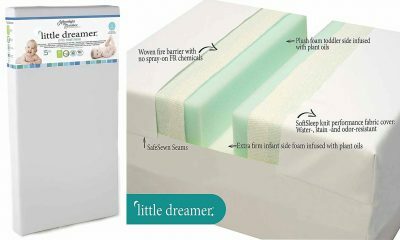 The Sealy infant to toddler mattress comes with a limited lifetime warranty. This mattress has nice, tightly-sewn seams—beyond that, it has a cover that further protects the mattress and your child from any problems relating to seams. 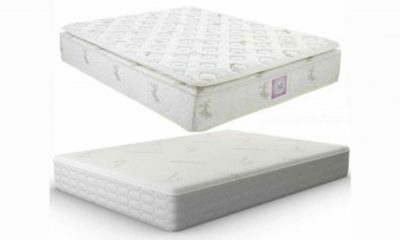 Like most mattresses made form coiled springs, this Sealy 2 stage crib mattress has some bounce but not the type or amount that should concern you. 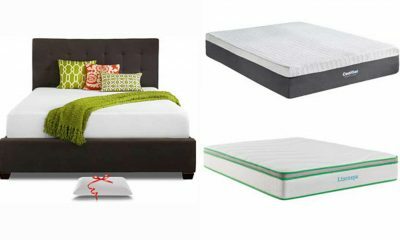 Of course, this can change over time depending on whether the mattress is treated right. In other words, a mattress may definitely begin to sag or attain some bounciness if it’s ever, say, used like a trampoline by older siblings. The corners on this mattress are more round than square which can be a problem, depending on the crib and toddler bed you use it in. Round corners make for a less snug fit when the mattress is put into a crib or bed. Then again, there are mattresses that have round corners but still achieve a decent crib fit. Some parents have commented online that maybe this mattress isn’t firm enough for a baby/infant, supposedly because indentations in the mattress were observed where a child had been lying. Well, of course, each parent has to make his/her decision as to whether the firmness that a mattress provides is good enough for an infant. You definitely don’t want a mattress that allows a baby’s or infant’s head to sink too much. But, according to most of the reports on this mattress, as well as information from the maker, this mattress isn’t super soft or cushiony on the infant’s side. This is supported by people who have said that, if anything, it’s too firm. You should go by the majority of the eye-witness evidence, as well as by your own assessment of the matter. Because of its rounded corners this mattress may leave a slight gap between the mattress and the rails/walls. This is something to keep an eye on since such gaps can lead to kids getting limbs caught—then again, this can happen even for mattresses that fit snugly, so, by all means, stay alert. Most people think that this mattress provides good value for money, although some families may find it outside of their budget. However, we believe it is worth paying that bit extra if you can for a quality crib mattress such as this. This mattress is described as being “2-stage”—that’s another way of saying it’s dual-sided. This means that the mattress has a properly firm side for an infant to provide the right amount of resistance for growing bones and muscles. 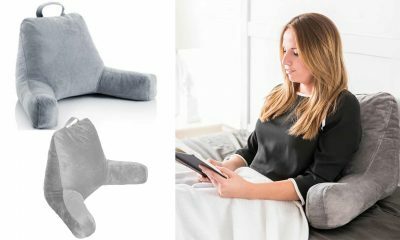 Turn the mattress over and you have a plusher, more comfortable side providing the right level of comfort for a toddler. 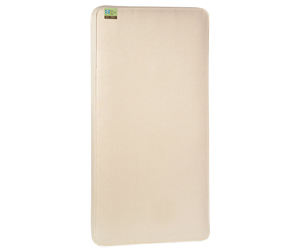 The Sealy Cotton Cozy provides excellent support. This is achieved with the assistance of the superbly plush cotton-containing layer put there especially for the toddler. This is also included on the baby’s side, only with a layer on top of it for them to get that extra firmness the toddler doesn’t’ need anymore. Parents and guardians time and time again report how well their children were sleeping while using these mattresses. Therefore, this would indicate that this mattress provides a great level of comfort for babies and toddlers. 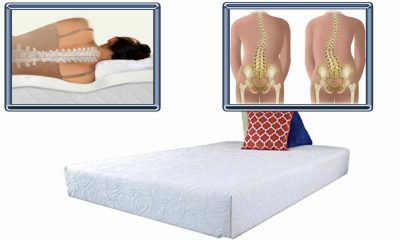 You want a mattress that doesn’t sag easily, especially around the edges, which can lead to injuries, kids falling over, etc. This mattress scores well in this area because of all the metal that’s involved: coil springs, a stainless steel border, etc. 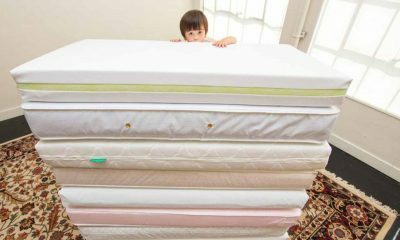 There are many reports of parents/guardians giving these mattresses high ratings when it comes to sleeping quality. Yes, the Sealy Cotton Cozy is odor-resistant, lead free and eco-friendly. 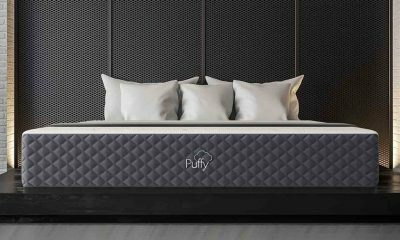 In addition to all this, the mattress is JPMA Certified, CPSIA compliant, GREENGUARD certified, NFPA compliant, ISTA 3A certified, “General Conformity” certified, and “OEKO-TEX standards 100 certified. 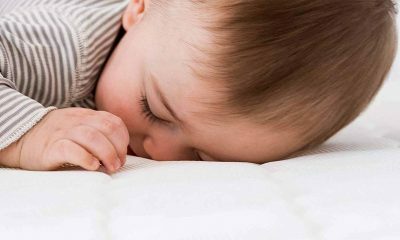 Finally, the mattress is hypoallergenic, which is one of the best ways to determine if a mattress is likely to give a child with special breathing problems (COPD, asthma, etc.) problems. 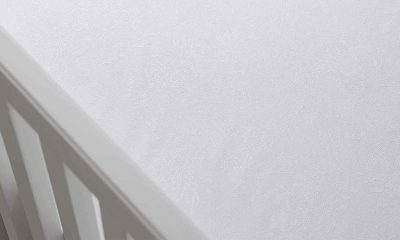 Simply put, the Sealy Cotton Cozy is worth the price you will pay, considering all the options, features and benefits that come with these fantastic crib mattresses.